astrological Blue moon | QuantumPhoenix.net – Esoterica, Paganism & Ritual Magic. Here’s a quick infographics on the major Lunar Phenomena coming up in 2019. 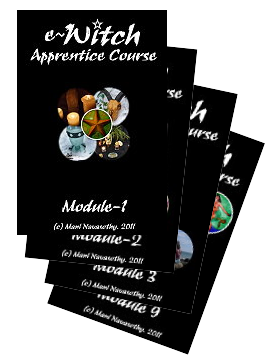 It includes *Astrological Blue moon (2 consecutive full moons in same sign), Traditional *Indigo moon (2 new moons in same month), and of course the eclipses. I’ll say more on these later. Book mark and come back to this blog again. The world gets excited when there are two full moons in the same calendar month, and call it a Blue Moon. But the calendars we we use are arbitrary.. Supposing the first full moon is on 2nd day of a month and next one (blue moon) 31st of same month..and some new government or Emperor decides to re-adjust the calendar.. ? for example say it ends on 30th of that month and next month starts day after? What would have been 31st (same month) will now be the 1st day of the next month.. and what would have been a Blue moon ..now is not! So I have always disliked anything that goes by man-made calendars! And I prefer stellar cycles and patterns.. So tomorrow we have a full moon – in 1 degree in the sign of Sagittarius. Then 30 days later we have another full moon , at 29 degrees in Sagittarius -= which becomes the `true Blue Moon’ !! That one also happens to be on the eve before Midsummer, when (esoteric) powers of the Sun are at a maximum..
Intuition tells me it’s going to be one powerful (Sagittarius) Blue moon on 20th May 2016. 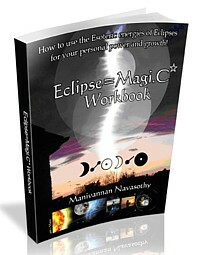 For those interested in Star magic, and especially Eclipse energies, here is an extensive workbook – world’s first ever- Eclipse Magic -Stellar Engineer your Life (book) Current price £18.